Samantha is a former gymnast carrying with her an Olympic silver medal and an all-American gold medal. She’s a three time NCAA champion and 17 time All-American graduate of UCLA. Her gymnastics career has led her to pursue broadcasting, speaking and sideline reporting for the PAC-12 and is now an entrepreneur and founder of Beam Queen Bootcamp. 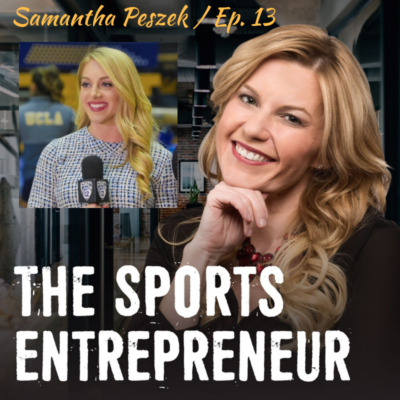 On this episode of The Sports Entrepreneur, we are going to learn how Samantha has taken her success in gymnastics and turned it into a business. She’s honest and real and identifies some of the most common roadblocks for beginning business owners. It doesn’t matter how old you are or what industries you’ve been in, every business is essentially the same – people don’t know exactly what they’re doing when they start out and they just figure it out as they go along. Be detail oriented in everything you do, but don’t get so consumed that you’re not taking the next step because of it. When working with children, the goal should be to both give them the technical skills and also the emotional tools. Creating confident kids is the ultimate end goal.